Journos take on creepy Gympie love tunnel challenge: Blair Witch Project or Love Tunnel? Watch as three Gympie newbies trek through the region's scariest trail walk. MAKING the journey through Gympie's famous "love tunnel” sounded eerily similar to getting lost deep within the Black Hills of Burkittsville, Maryland on the lookout for the Blair Witch - but we did it anyway. 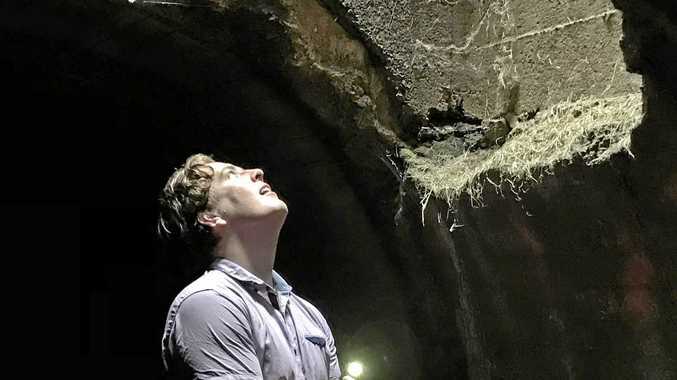 For photographer Troy Jegers, fellow journo Phil Coquerand and myself, there were immediate second thoughts on going through with the underground, cross-town walk upon peering into the tunnel's dark depths. It was dank, smelly, crawling with cockroaches and teeming with spiders. And there was also the possibility - slight as it was - that we'd wander into the open jaws of the legendary Gympie Croc. But it also felt kind of like a rite of passage. 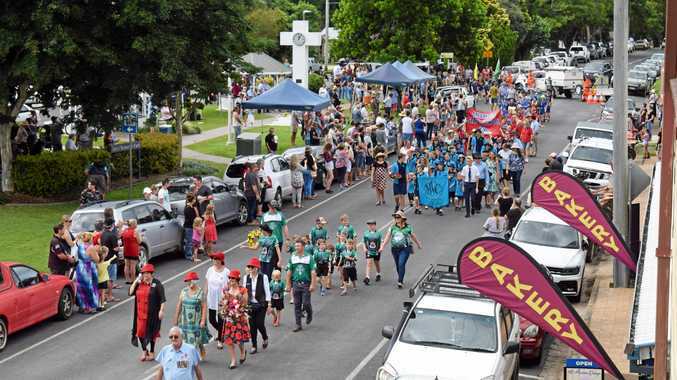 Since starting at The Gympie Times almost a year ago, I've heard countless stories about generations of local kids daring themselves to go inside, and how some would make it all the way through if they were brave enough. We felt every bit like the trio of "blow-ins” we are when, upon becoming confused about the tunnel's location, a local family enjoying their Wednesday morning at the Kidd Bridge weir lazily and humorously pointed directly behind us. There was a false start when we reached the first turn and discovered our office-wear was not at all appropriate for a midsummer hike through pitch darkness, but not 10 minutes later we had set off on our journey proper. We encountered more cockroaches, more spiders, a network of awkward concrete beams to navigate through and one or two clusters of what looked like baby bats. The roar of Bruce Highway traffic, the harsh ripping sounds of a jackhammer and even the toll of the council building bell seemed eerie from underground, but after almost an hour of exploring we made it out the other side. Maybe we're still a bunch of blow-ins, but we can say with zero doubt we've joined a pretty exclusive club.